Students must show competency in skills taught during the course. There is an optional written test if the employer requires one. 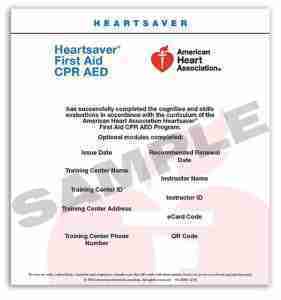 Course length is approximately 3 to 4 hours, with skills testing by an American Heart Association instructor during the course.